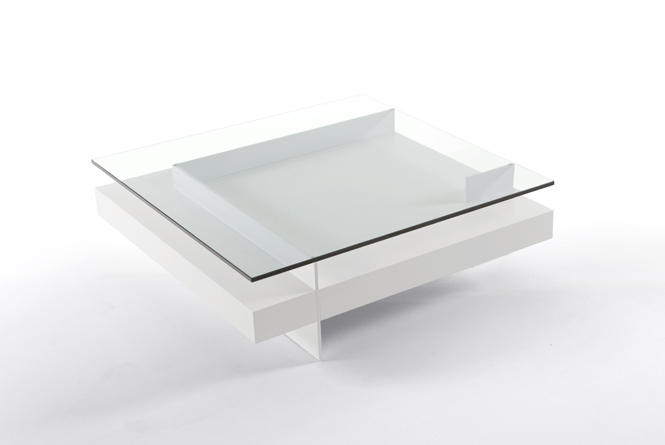 Coffee table comprising a tempered transparent glass top (10mm thick), a central body and an upright structure. 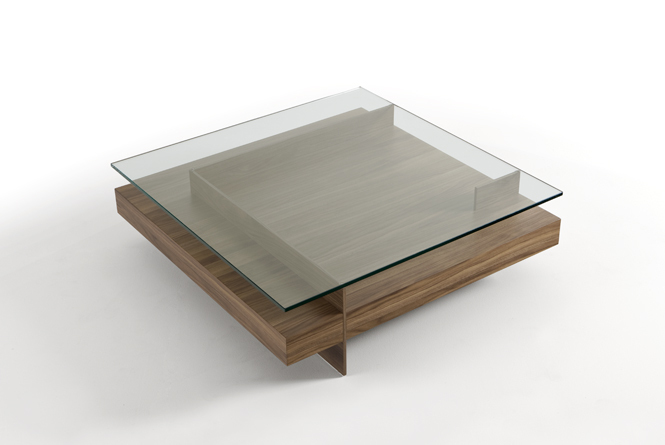 The central body is made in lacquered MDF or veneered in oak or walnut. 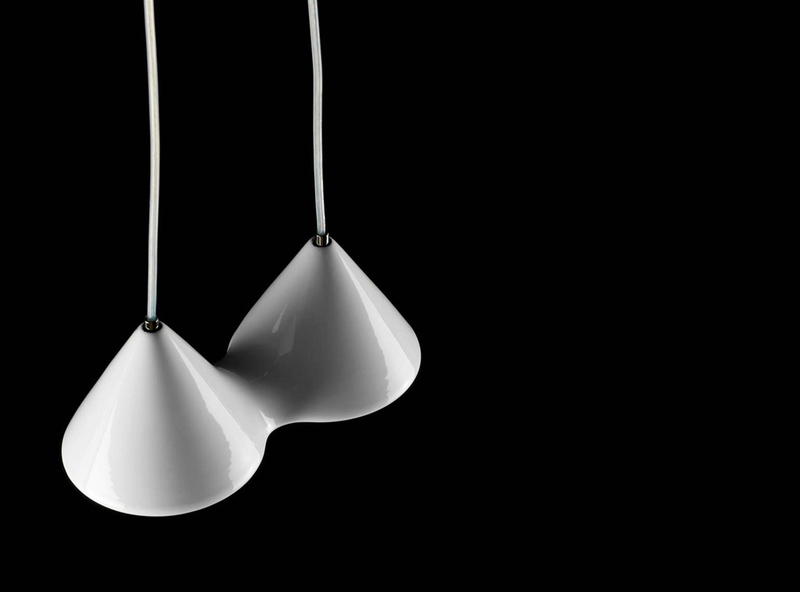 The vertical structure is in MDF veneered in aluminium. 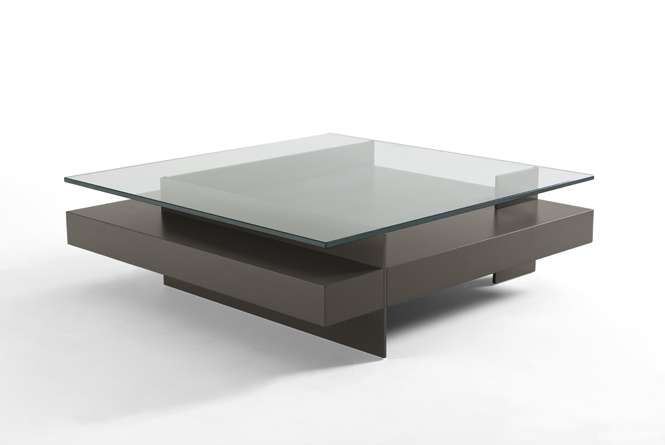 Optionally the vertical structure could be in the same finish and colour as the central base (oak, walnut or lacquer).